Watch full Naruto Shippuden Season 20 Episode 8 English Dubbed full HD online. Naruto Shippuden Episode 421 English Dubbed online for free in HD. 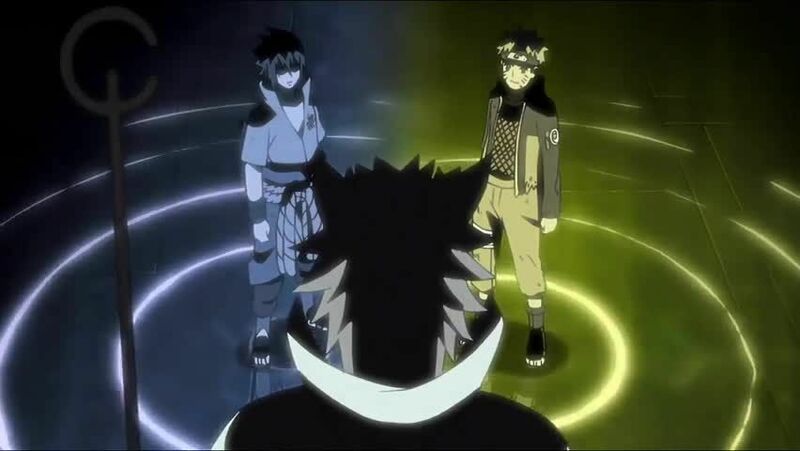 Learning that Naruto and Sasuke are the reincarnation of Asura and Indra, Hagoromo explains that Hashirama and Madara are the previous ones, and that by taking Hashirama’s power, Madara recreated Hagoromo’s chakra, awakening the Rinnegan, despite leaving Indra’s descendants instructions against it. Hagoromo explains that his mother Kaguya used her powerful dÅjutsu to rule over humanity and Madara attempts to acquire the same power. As Haguromo requests Naruto to stop Madara, the chakra of all tailed beasts converge and Hagoromo hears to notes his prophecy. Entrusting only Asura had created so much conflict, Hagoromo also asks Sasuke to cooperate, and entrusts both of them with his powers. Having survived and being impressed by Guy’s Evening Elephant, Madara asks Guy to keep on fighting, deeming him the strongest taijutsu user he faced. Guy prepares to use his final technique while Naruto and Sasuke recovers. As Guy prepares the Night Guy, Kakashi recalls his past about his father’s accurate prediction of Guy’s potential. Guy obliterates half of Madara’s body with his final attack,however he fails to kill him. Madara regenerates his body and attempts to destroy Guy’s disintegrating body with a Truth-Seeking Ball, but Naruto kicks it away and recovers Guy to save him. Naruto tells Madara that he changed like Obito and declares that he will change the world with his new powers. 4.8 / 5 - 33 ratings.